VISION has signed a contract with Vale to supply services and a substation (E-House – modular electrical room assembled with metal structure) of 2.500KVA – SE10. 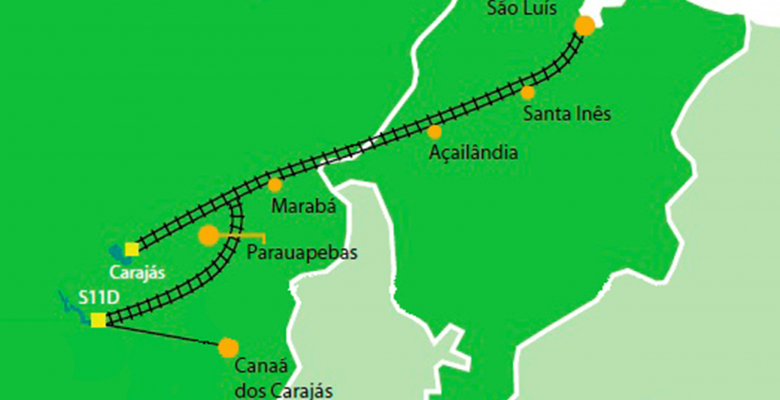 The project name is Northern Brazil Logistics Training, to be mounted on the Canaã dos Carajás city / PA, to supply energy for the systems of telecomunication, signalling and illumination of the railway of the southeast of Pará state. This railway extension is part of the north logistics corridor, where will be transported the produced iron ore from S11D complex, the largest project in Vale’s history, expected to start operations in the second half of 2016. The E-House solution proposed by the Vision for the system of supervision, protection and control of this substation, includes among other equipment: MVSW (13.8kV and 34KV), transformer 34 / 13.8kV 2,5MVA, control panel and automation (PLC Siemens S7-1200), rectifiers, access control, CCTV, detection system, alarm and fighting fire. Services include control system, communication, supervision (SCADA philosophy), testing, transportation, assembly, commissioning, start-up and assisted operation.